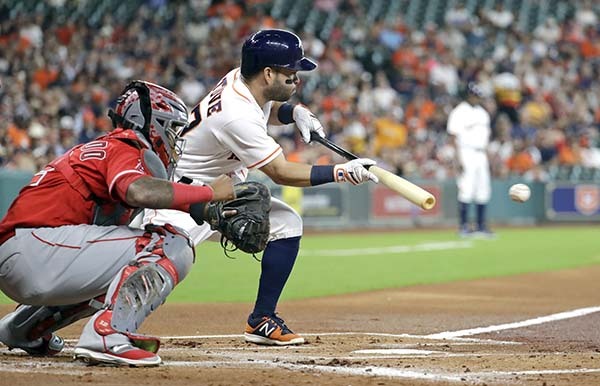 HOUSTON -- The Houston Astros needed someone to step up and help Lance McCullers stabilize their rotation with starters Dallas Keuchel, Charlie Morton and Joe Musgrove all on the disabled list. 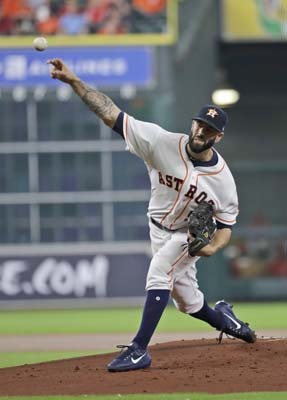 That player has been Mike Fiers, who has shaken off a tough start to the season with three straight solid outings capped by Saturday's performance in a 3-1 win against the Los Angeles Angels. 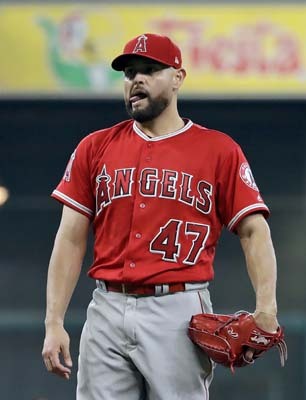 Fiers (4-2) allowed a season-low two hits and one run, which was unearned, in a season-high 7 1/3 innings, to get his third straight win after managing just one win in his first nine starts. "This is the best stuff I think he's brought into the game this season and I think it was a combination of everything but everything seemed to be working off his change up," manager A.J. Hinch said. "He could throw it any count, he threw some nasty ones that looked like split-fingers." He struck out eight in his longest start since throwing a no-hitter against the Los Angeles Dodgers on August 21, 2015. Fiers explained what he thinks has led to his recent success. "Just command and throwing my curveball like I used to," he said. "You guys got some false advertisement early this year. But this is how I pitch and this is the pitcher I am. I'm just going to continue that for the rest of this year. There's mistakes you make early on and the quicker you fix them the better off you are." Fiers, who was plagued by home runs as he struggled through his first nine starts, hasn't allowed any during his three-game winning streak. "He didn't do anything that we haven't seen before, but he was doing it well," Angels manager Mike Scioscia said. "He changed speeds, had a good breaking ball and change up going as well." Ken Giles walked one and struck out three in a scoreless ninth for his 16th save . 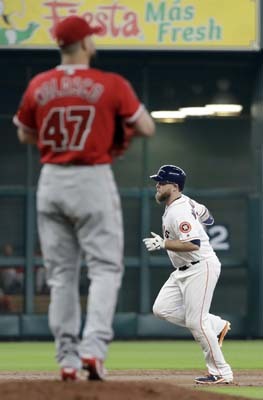 Brian McCann put Houston up 1-0 with his solo shot to right field off Ricky Nolasco (2-7) with one out in the second. Nolasco plunked McCann to start Houston's fifth before Marwin Gonzalez singled on the 10th pitch of his at-bat to send McCann to third. 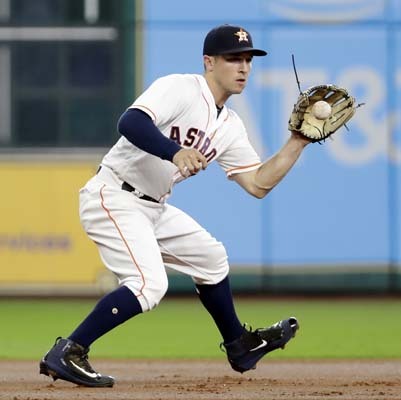 The Astros pushed the lead to 2-0 on a sacrifice fly by Yuli Gurriel. Nolasco tied a season-high by yielding eight hits with two runs in seven innings to extend his losing streak to five games, which ties a career high. 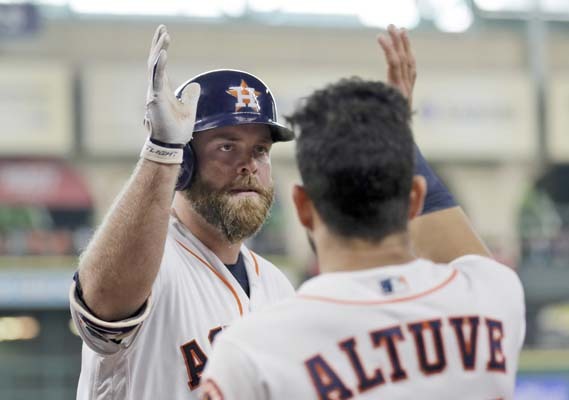 The home run to McCann moved him ahead of Fiers for most homers allowed in the American League this season with 19. 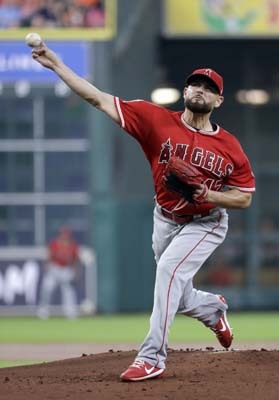 Fiers didn't allow a hit until a single by Albert Pujols with two outs in the fourth inning. He walked Martin Maldonado with one out in the fifth and hit Eric Young Jr. with a pitch with two outs. But the Angels didn't have another baserunner until Ben Revere reached on an error by Carlos Correa to start the eighth. Pinch-hitter Luis Valbuena singled with one out to chase Fiers, who was replaced by Chris Devenski. Revere and pinch-runner Danny Espinosa then pulled off a double steal before the Angels got within 1 when Revere scored on a groundout by Andrelton Simmons. But Devenski struck out Kole Calhoun to limit the damage. Carlos Correa provided an insurance run with an RBI single with one out in the eighth. Angels: OF Cameron Maybin was out of the lineup a day after tying a franchise record with a career-high four steals on Friday night in his first game back from the disabled list. But Maybin said he was fine and the day off was planned before his return on Friday night. Astros: Keuchel won't begin throwing again for about a week as he recovers from neck discomfort that has landed him on the disabled list for the second time this season. Keuchel was scratched from his start on Wednesday at Kansas City and placed on the 10-day disabled list a day later, a move retroactive to June 5. It's the same problem that put him on the disabled list earlier and caused him to miss one start. He isn't sure when he'll return, but expects to miss at least two more starts. That hit gave the Astros at least one homer in 18 straight games, which ties a franchise record set in 2000. Houston, which leads the majors with 96 homers, has hit 35 during this streak. Angels: Jesse Chavez (5-6, 4.56 ERA) will start for Los Angeles in the finale on Sunday. Chavez allowed seven hits and two runs in 5 2/3 innings for the win in his last start. Astros: David Paulino (0-0, 4.66) is scheduled to make his third start of the season on Sunday for Houston. He yielded eight hits and three runs in 5 2/3 innings but not factor in the decision in his last start on Tuesday.